The world record breaking Bad Beat Jackpot has been hit at PartyPoker the massive $1,013,381.63 Bad Beat Jackpot was won on a $0.50/$1 table at 23.12 ET on 14th August, Thursday 2008 smashing the previous highest bad bet record which stood at $992,000. 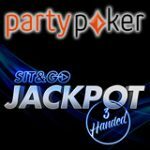 One lucky table hit a whopping the PartyPoker Bad Beat Jackpot, the hand itself consisted of a Royal Flush, Four of a kind and a Full house all competing for a rather insignificant $24 prize pot when the bad beat progressive hit, the biggest of which the world has seen to date. Judith75 a player from Germany got dealt four 9's which lost to Hiyall from Scotland's hand comprised of the ultimate nuts a Royal Flush, a hand that has odds of 649/739/1 chance, another contender tried to stab at the pot with his meagre full house also from Germany. 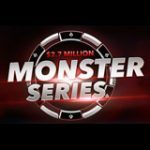 $24 the main pot dough, all the other seated players at the table won $22,167.72 a piece. 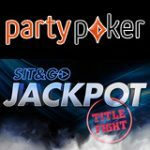 To start playing at PartyPoker's bad beat jackpot simply download Party Poker and choose your preffered PartyPoker bonus code : WAP25 - $25 Extra bonus OR BIGGEST - 30% PartyPoker deposit match bonus code up to $150 of the depsoited amount. 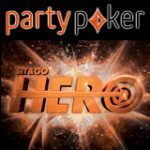 PartyPoker.com Bad Beat Jackpot is only available on specially designated tables simply look for them under the ‘Cash Game’ tab. PartyPoker's Bad Beat Jackpot is a progessive jackot that can be played on selected tables in order to win the Bad-Beat jackpot prize at Party Poker you need to lose with a hand of four of a kind, only 8’s or higher, when the Jackpot hits signifying a qualfifying hand 50% of the pool funds go to the loser of the hand who was subjected to the bad beat a further 25% will go's to the winner of the hand and the remainder being 25% is split amongst seated players who took part in the hand at the same table. 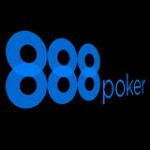 Obviously, players whom may sit out of the hand will not receive a portion of the jackpot should it hit. 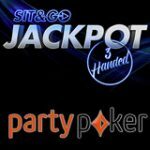 Party Casino Bonus code EXTRA25 -$25 Extra on First Deposit bonus is valid at PartyPoker, PartyGammon, PartyBets, PartyCasino and PartyBingo. PartyCasino Bonus code PCBONUS - 30% up to $150 Extra On First Deposit, bonus is good at PartyPoker, PartyGammon, PartyBets, PartyCasino and PartyBingo. Bonus code PartyCasino CODEBONUS - 150% up to $200 extra on First deposit 100% bonus is for PartyCasino only.